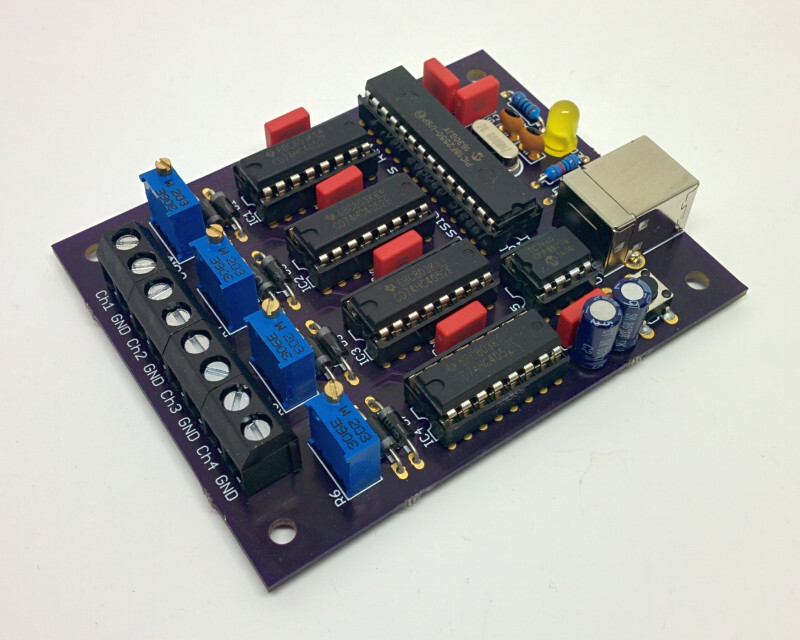 This board has two frequency outputs (50-3500 Hz, 0 to +/- 5 V) as well as two combined outputs (channel 3/4, 0 to +/- 5 V). 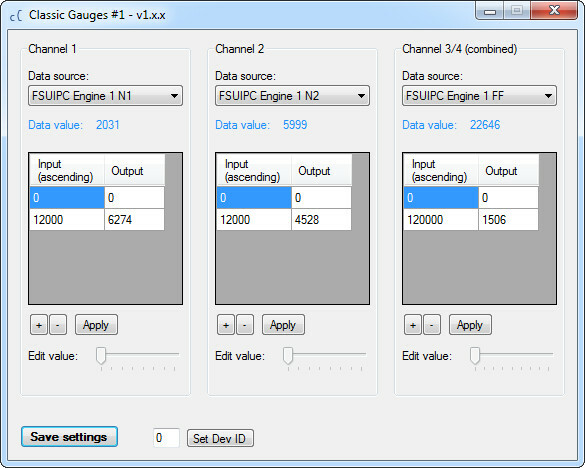 The frequency outputs can be used for instance to interface 737 Classic N1/N2 gauges. With channels 3 and 4 a 737 Classic Fuel Flow gauge can be interfaced. The output voltage can be adjusted with a trimmer between 0 and +/- 5 V.
Simply select a data source in the software and connect it via a lookup table to the output. Thanks to the lookup table, even irregularly spaced dials can be calibrated.